Do you struggle to say no when something is asked of you? 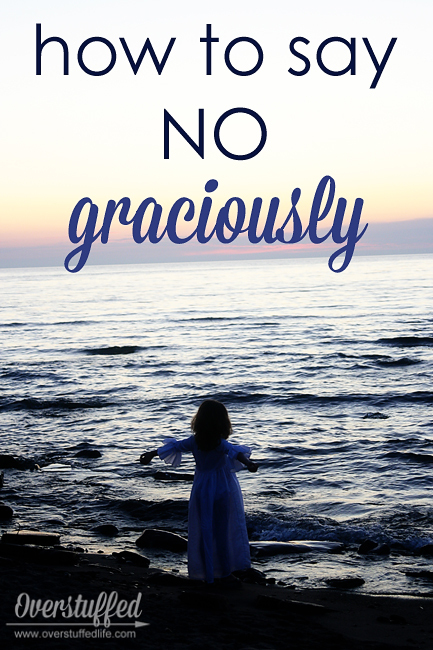 Learn how to politely decline a request and not be ashamed of saying no. The entire reason my life is overstuffed is because I am terrible at saying no. I don't think I'm super woman or anything, I simply hate to ever shut doors on opportunity and I never want to let people down. Then, once I've taken all of these things on, I realize that I'm going to have to find a super suit somewhere, because little old me is never going to be able to keep all of these commitments on my own. Thankfully, in my life I have a super suit of sorts: family and friends who are willing to help me when things get too overwhelming. However, even with a lot of external support, I have dropped many, many balls in my life and disappointed many people in the process. I am finally mature enough to understand that if you are just honest with yourself and others from the very beginning, there will be a lot less disappointment. About two years ago I finally gave myself the permission to say no. Am I perfect at it? NO! (Look how well I can say it, though!) I still have a lot to learn in this area, and it basically took a couple of nervous breakdowns, but I'm definitely learning. Don't be like me and just mindlessly say yes to everything asked of you. Stop and think about it. Can you really do what is being asked? Do you have the skills to do it? More importantly, do you have the time? About five years ago, as we were getting ready to move across the country, a friend asked me if I could help her with a photography project for her brother's business. I did not stop to think about the fact that I was in the middle of a very stressful time in my life and that my time was more stretched than usual. Nor did I stop and think about the fact that my photography expertise lies in photographing people, not merchandise. I picked up the box of things she needed photographed and it sat in my garage for a few weeks and made me feel incredibly guilty every time I looked at it. But I was so busy that I couldn't get to it yet. Finally, I brought the box into the house, fashioned a homemade light box, and tried my hand at photographing the merchandise. I was an epic failure. I quickly realized that I did not have the right equipment or know-how for such a job. No matter what I tried, the photos looked terrible! After I spent way too much time trying to fix them in Photoshop, I finally threw in the towel. Even though the reason I said yes to begin with was to help her out, in the end I completely disappointed a good friend, not to mention myself, because I failed to recognize my limitations. Nowadays I do think through this. I am much more realistic about my time constraints (even though I could use an even bigger dose of reality now and again), and I don't hesitate to tell people if something does not lie in my skill set. If I do have both the time and the skill, I am happy to help and I say yes every time. I know that "No." is a complete sentence. I hear that all the time in regards to learning to turn things down. But to me it just seems rude and ungracious. I think it's perfectly okay to say no and not give a reason, but I also think it's possible to give reasons without sounding like you're just making an excuse. 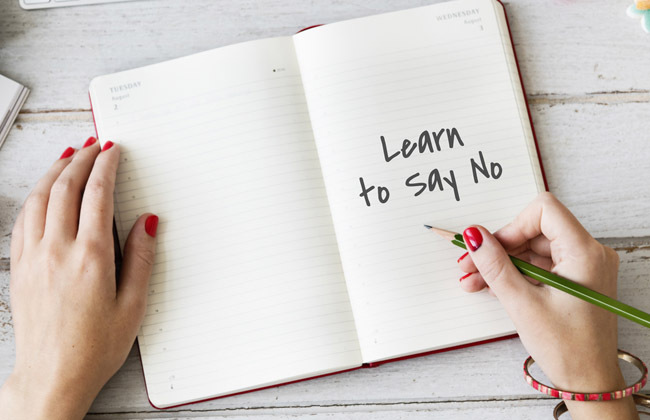 Besides not having the time or the skill, there are many reasons why you might need to say no to something. 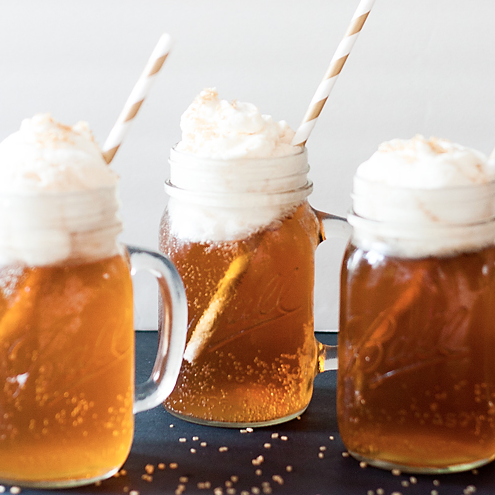 It could be as simple as "I'll be out of town that weekend," or "I have to work," but I understand that some reasons are much more complicated. But rather than just saying "no" and leaving it at that, kindly tell the asker that you are unable to help because you have other commitments. It's true in pretty much any situation. If you are having family issues that you need to focus on, that is another commitment. If you are pressed, it is okay to say that it is a personal commitment you'd rather not discuss. A couple months ago I received an email asking me to prepare a children's choir for a local celebration. I'm sort of always in the throes of craziness, and the old me would have said yes, and then tried to make it work while making myself sick and ignoring my family. No bueno! 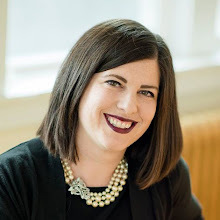 While I think it's fine to say no and leave it at that, if you have the means (time, resources, connections) to help find someone else who can do the job, it adds an extra helping of gracious to your refusal. In the case of the children's choir, the person asking me was not very connected to the local music scene. It would have been very difficult for her to find someone else without having to do a lot of legwork. I do have those connections, so I was able to give her a name. It's an added courtesy to actually talk to the person you are considering to do the job—I asked, and that person was very excited to take on the children's choir, so I knew I could give her name without getting in trouble. In the case of my friend and my big photography fail, I took it upon myself to find someone else to do it rather than hand her back the box and apologize. And it ended up that the first person I asked couldn't do it either, so I found yet another. It was all I could do to make up for the fact that I should have just said no to begin with. All of this said, I'm still a yes-woman. I probably always will be, but I've become much more wise about when to say it. Saying yes has actually brought me a lot of wonderful opportunities and forced me to learn new things—I'm a better person for saying yes. But I have also learned that it is more than okay, and sometimes absolutely necessary to say no. Good luck in your own journey of figuring it out—I will be right there with you, because I am always learning! I'm Just a Girl Who Cain't Say No! I have struggled with an inability to say no for a very long time. I've learned that I don't do anyone any good when I am overwhelmed with extra responsibilities because I said yes to too much. 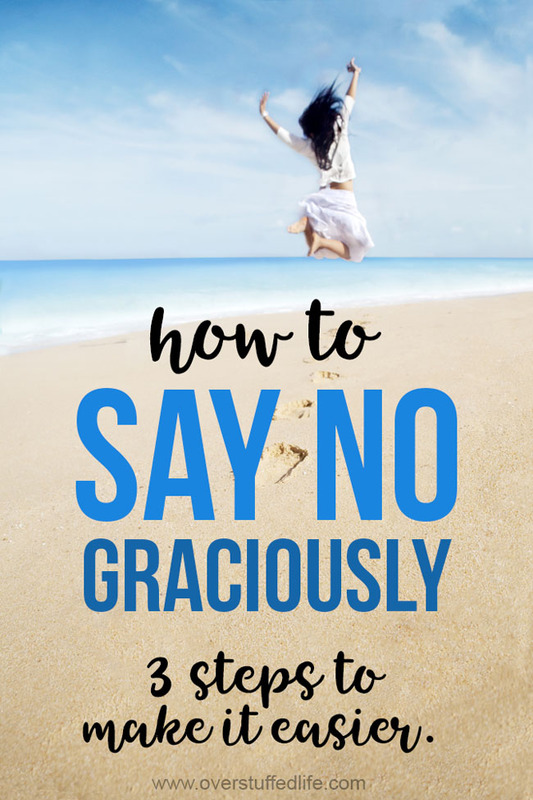 I love your suggestions on how to say no graciously. Great post. I have to learn to say no, I just really am not good at this. Thanks for the post. Yes. I think for me it was when I realized that I was actually saying no to my family and my children because I was saying yes to everyone else. That has really helped me feel less guilt about it. Thank you. It is so easy to take too much on because we don't want to hurt others' feelings. I've always admired those who can say no without a problem, I'm still somewhere in the middle! Don't worry, I'm not good at it either. I'm still learning! I totally have that same problem. And the more you say "yes" the harder it is to say no the next time because you feel guilty that people are relying on you. But your advice is spot on. I needed to hear it today. Great post! Such helpful ideas. I'm a yes person, too. Keeping a calendar really helps me keep things prioritized - I can visualize in my head, see my schedule, and see what's currently on my plate as soon as a situation arises. I keep a detailed planner/calendar as well, and calendaring conflicts are the easiest types of things to say no to, since there is a concrete reason not to do it. It's the ones that I could just fit in on my own time or are sort of ongoing projects (sit on the board for an organization, for instance) that I have a more difficult time with and need to really look at things more honestly. Exactly. I am definitely known as the one who will do anything for anybody. Though I'm really working to change that. 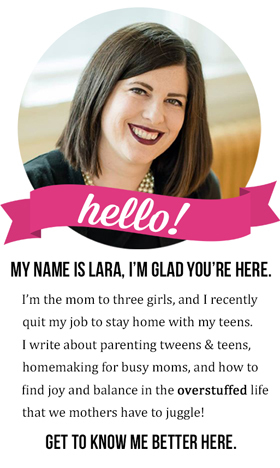 Lara, I always love reading your blog. I am a yes person as well, and I struggle with it because I usually find a lot of joy in being able to say "Yes, I would love to do that for you!" But with our current situation (only one vehicle between hubby and me) I am not able to say Yes as often as I would like to. But in some ways it is a good thing, because we are prepping for a move across the country, and if I were to take on too many things right now it would be a stress-fest for everyone involved. There is always a little part of me that will feel guilty for saying No, but I know that things will probably work out in the end. I agree with you on finding joy in helping people or just having awesome experiences! Saying yes is not bad until it cuts into our health and family time. Unfortunately, as my girls continue to grow older, I can't say yes as much anymore because I'm not taking care of them, nor am I taking care of me. But I still feel a little guilt, too. I love what Stephen R. Covey said about this: "You have to decide what your highest priorities are and have the courage--pleasantly, smilingly, nonapologetically--to say "no" to other things. And the way to do that is by having a bigger "yes" burning inside." If you have been a chronic yes-er, when you begin to say no, people will try to push past it Expect it. Instead of respecting your no, they try to solve every obstacle you put up to get a yes from you. Expect it, don't get flustered, guilted or panicked. Instead say this very effective phrase "no that doesn't work for me". just "That doesn't work for me". If they still attempt to push past your no, just listen calmly, and repeat the phrase, "That doesn't work for me". It works amazing well. Ive practiced saying it, practiced using it. It stops the coercion. Remember, anyone who doesn't respect your no is ultimately, trying to control you. You are very wise! It is hard to stick to your guns when you've been such a yes-woman for so long. I'm still finding it hard, but it does get easier! Renee, you are brilliant! It's hard to make the conversion from a "yes-er" to a "no-er". You're right, people who don't respect your decisions are trying to control you. I used to always try to have an excuse for saying no. Now, I can do it just because I don't want to. It's nice to help people when you can, but sometimes, you just don't want to. And that's okay too!